Thanks be to the voice gods! Excellent story as usual! THANK YOU for getting Jeffery Kafer back! I was fearful that we were going to have to struggle with a new narrator after Kafer had done such an incredible job bringing great this world alive. Welcome back Mr. Kafer !!!! I could only skim they the previous title as the narration was horrible. Wasn't sure if I would be able to continue wit the series. Thankfully we got Jeffery Kafer back and all is as it should be In the cluster. Oh and the story was top notch. I am excited to see where this goes. 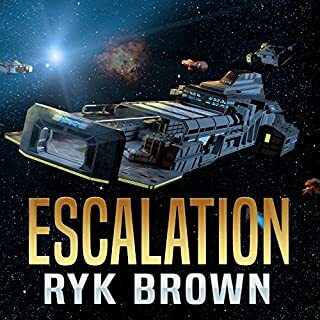 another great book by Ryk Brown, also extremely happy they used Jeffrey Kiefer again, great hearing the voices of characters I'm used to from the first 15 books. they really should rerecord the last book. RYK BROWN IS A BRILLIANT WRITER ! SUPERB PERFORMANCE BY JEFFREY KAFER. Most enjoyable! I loved every bit of it. The storyline is fantastic. I was so...upset when Nathan surrendered to the enemy. Jeffrey Kafer was awesome! I like his performance. 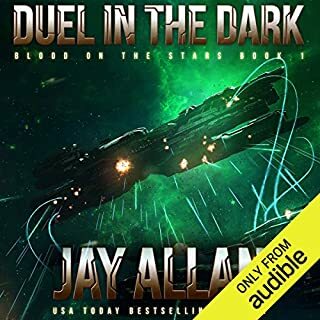 It would be wonderful if Audible can replace book 1 of the second series with Jeffrey Kafer reading it. I hope Ryk Brown would write book 3 ASAP. I have enjoyed this series and am very happy with finding the author Ryk Brown. He has become one of the science fiction authors I now routinely read. This book is more of a filler telling about what has happened since Nathan Scott turned himself over to the Jung for trial and the renewal of the attacks by the Jung in the last book. In this book, we learn about the break-up of the Alliance. The story primarily follows Jessica, Josh, Loki, General Tellis and Admiral Dumar. Jessica joins with General Tellis and team on a new home world near the Coninar sector. Jessica’s entire family has moved with her. Under Tellis’s training, Jessica is controlling her anger. Admiral Dumar has retired and living on Coninar. Josh and Loki are with General Tellis. We are introducing to Connor Tuplo, who is a clone of Nathan Scott. The book is well written and the plot twists and turns. The pace is fast. There are no space battles, but there is the rescue of the Dumar family, Loki’s family and the clone doctors along with lots of suspense. Mainly the book centers on the building relationship between Jessica and Tellis. I cannot wait for the next book in the series. The book is eight hours long. Jeffrey Kafer does an excellent job narrating the series. Kafer is a voice-over artist and award-winning audiobook narrator. I wish the episodes were longer... or at least not full priced. Aside from that, Ryk delivers another nail biter. 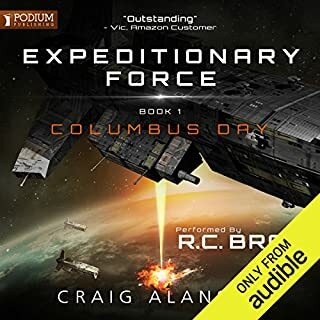 Ryk Brown's Frontier's Saga continues to be the reason why Military Sci-Fi is the premier Genre, with exceptional Characters, outstanding space battles, and an epic Universe that he continues to build upon in each episode. 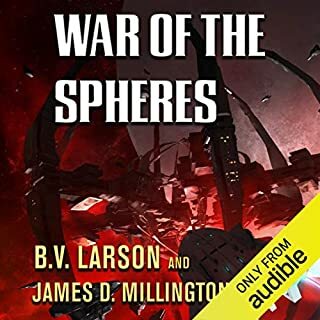 This is a series that is a MUST for anyone who is a fan for Mil Sci-Fi. After taking us through such a spectacular ride in the first series, the 2nd is already building. Brown has continued to develop his Characters not letting them stagnate, and he is not above taking out his main characters either, adding to the suspense. 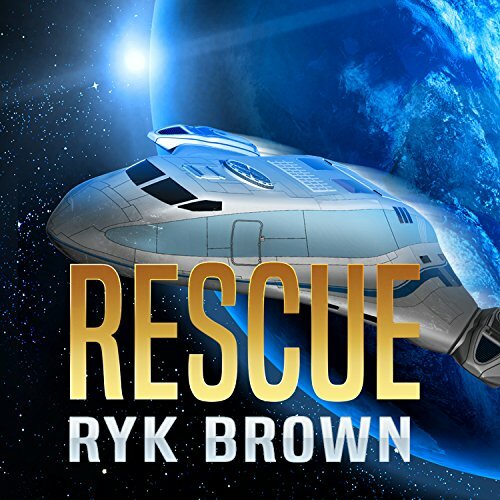 These books are exceptional reads, and Rescue is a pivotal story in this continuing Sage. What other book might you compare Rescue to and why? 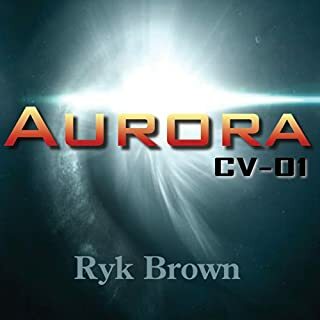 There are other series that are similar in nature, but Ryk Brown's Frontiers Saga is an Epic series that is a standout. Jeffrey Kafer is one of the best narrator's out there. He is often associated with Mil Sci-Fi, and for good reason. He has an exceptional range of voices, both Male and Female. He narrates very clearly, articulating his words to give the full nuance of what the Author intended. I have listened to multiple books read by Kafer, and he is easily one of the best Narrator's out there. When choosing an audiobook, if Mr Kafer is reading it, this is often a selling point for me, because he is so good. 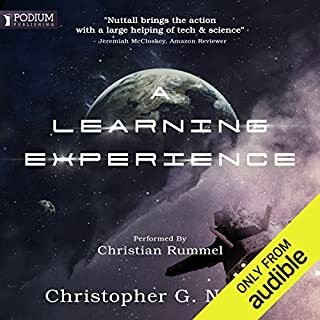 This is a brilliant book - and has exceptional narration as well - if you have not read/listened to this series, it is not too late, dive in now, it is well worth it. If you have, and aren't up to this yet, this is exceptional and definitely worth your time. The story jumps repeatedly from flash back to present. The characters become jumbled and it's difficult to follow along with the plot. At first I thought I had missed one of the other books since the story begins 7 years later. There are definitely plot twists aplenty. If the next books degenerate into a "Groundhog Day" of trips back in time or alternate time lines then I'll be done with the series. What a relief to have Jeffrey Kafer back! The new series gets moving again in this book. needed to As I was starting to loose interest. normal service now resumed. this one did jump backwards and forwards a bit which I'm not sure added to the story but as with all the other books in this series I couldn't put it down.